Keep your dog warm this fall and winter season with this comfy Pocket Cable Knit Dog Sweater in Heather Gray! 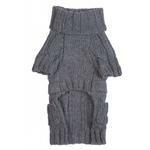 Dogs will stay warm and show off their designer side with the Pocket Cable Knit Dog Sweater by fabdog®! All of our products are made with the finest materials and safest hardware. With quality in mind, our expert craftsmanship and exclusive designs sets us apart from the pack. Our incredibly versatile collections run the gamut from classic chic to hip and edgy and everything in between. No matter what the occasion, fab dog features the perfect look. 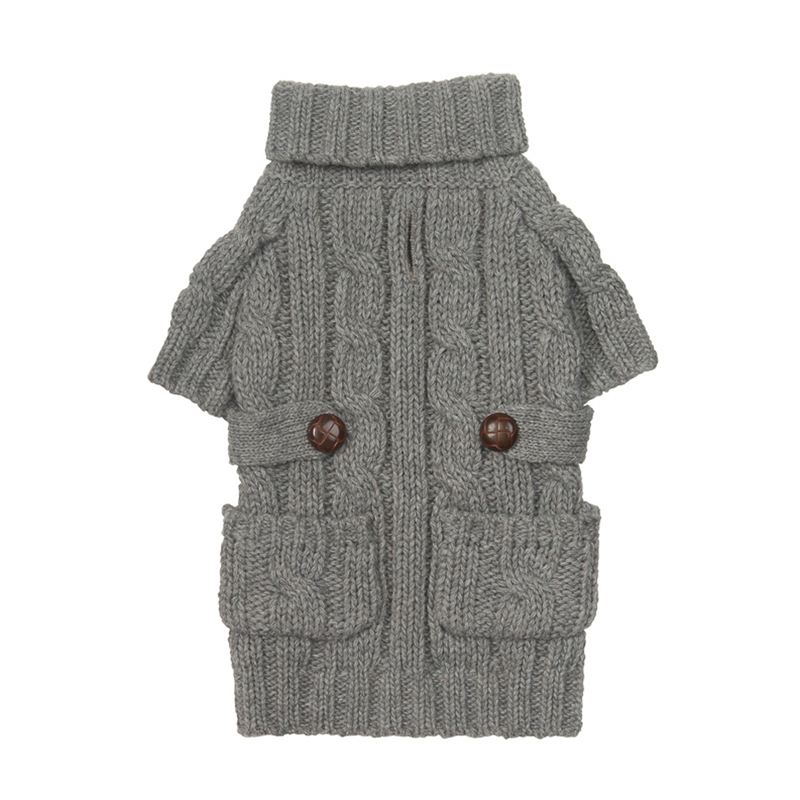 I really wish this fit my dog! Posted On 11/27/17 by Rebecca O from , Yes, Rebecca O recommends this product! I have a 24 lb Frenchie with a 24" chest. Unfortunately, the size that fit around his chest was way too long. And the right length was too tight around his chest. It's a really nice sweater and I wish it fit him. Cute - but fits pretty small! Posted On 01/16/17 by Jamie from , Yes, Jamie recommends this product! I love the look of this sweater - it's so sweet. The fit is very small though, compared to other sweaters that run the same size. It's pretty snug. If your dog doesn't mind that, then you're good. Posted On 12/20/15 by Angie N from Alamogordo, NM Yes, Angie N recommends this product! I had complained in an email that I didn't receive the first order 25% off. Customer service got back to me quickly and a 25% refund was applied to my credit card. Yippy! I had emailed an suggested they offer helmets for dogs.